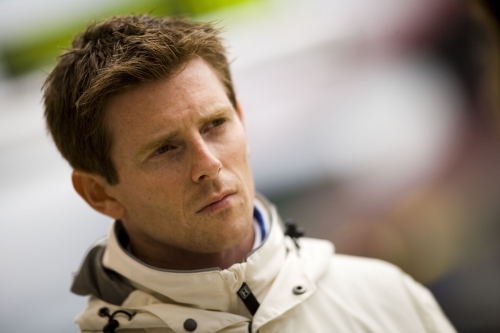 Anthony Davidson will join the Le Mans-winning Peugeot team for this year's 24 Hours and the Sebring 12 Hours. The former grand prix driver was part of Aston Martin's LMP1 line-up at Le Mans last season, finishing 13th overall in the #008 car with Darren Turner and Jos Verstappen. He expressed his desire to continue racing sportscars at the time, and was announced yesterday as part of the factory Peugeot team's line-up. World Rally champion Sebastien Loeb had been linked with the drive, but Peugeot called up Anthony after deciding Sebastien's schedule would be too busy. "We had a number of options for this car, including Sebastien Loeb," explained Peugeot Sport boss Olivier Quesnel. "He has reached a sufficiently high standard to be considered as a potential team member and we waited until the Swedish Rally before we took any decision. "Every driver has to be 100 per cent committed to our programme and it eventually became clear than Sebastien's schedule would be too tight. Anthony Davidson was available, he is quick, enthusiastic and very happy to be part of Team Peugeot Total. "We needed two teams of sprinters and one of routier-sprinters while at the same time maintaining a sense of balance. It is my belief that we have three crews capable of victory at Le Mans." Anthony will also share with Wurz and Gene in the American Le Mans Series season opener, the Sebring 12 Hours, on March 20. Peugeot will field two cars in the event, with Bourdais, Lamy and Minassian sharing the other.